With a wish to share his knowledge, Dave has good experience as Tourist Guide and lecturer to potential tourist guides. 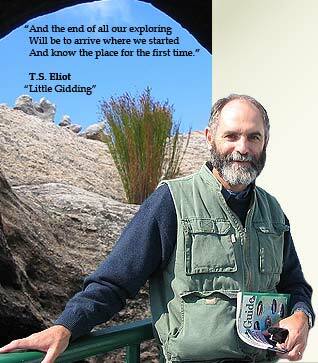 He is available to guide tourist parties, couples or individuals who have a particular interest in exploring the rich and diverse flora and landscapes of southern Africa. Dave also has a good knowledge of the South African mammal and bird fauna which adds another dimension to his professional guiding. Extended botanical tours to the Drakensberg and Lesotho in the summer flower season.